​One fateful barbeque will change things for three couples in ways they could not imagine. Erika and Clementine are childhood friends with a complex relationship that often seems like they are bordering on being frenemies, so when one planned dinner becomes a barbeque at Erika’s neighbour’s home, she is happy to relinquish the burden of hosting and Clementine is equally happy to have another couple buffer between her and Erika. However, something occurs at that barbeque which strains the relationship between friends as well as between husband and wife, it is far from clear what actually happened at the barbeque for the first quarter of the book, but as more about that day is revealed, I found myself getting more gripped by the story. But I have to say the first quarter is hard going because we are kept in the dark, the story is told by half a dozen narrators and keeps going back and forward in time, which even for an experienced and focussed reader, maybe asking a bit much. After getting about halfway through the book I appreciated it much more and having only read one previous book by the author a few years ago I didn’t keep comparing this read with easier works to enjoy. 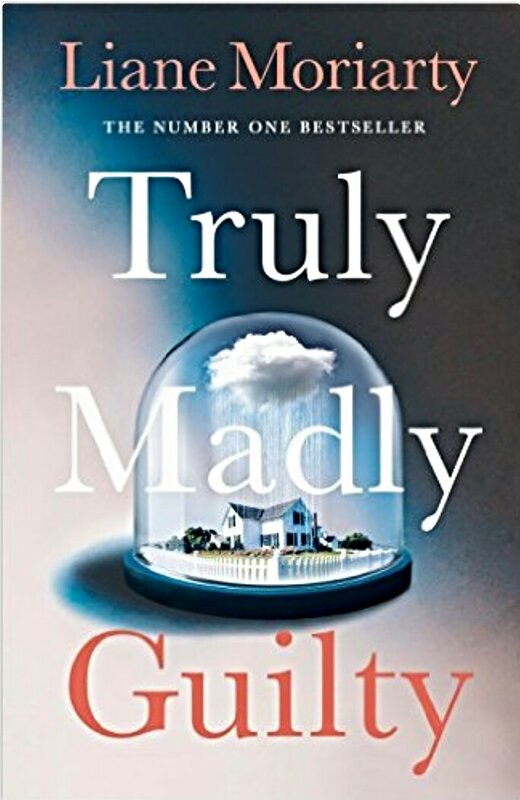 Truly Madly Guilty is about complex relationships and what makes them up. Ultimately I found the characters fascinating once I had got to know them and what they had experienced on the day of the barbeque. Despite the slow start in getting into this book by the time I had finished it, I did thoroughly enjoy it. I’ve only read The Husband’s Secret ages ago, but I liked this after persevering the first quarter. I haven’t read that one. I read What Alice Forgot. She’s a good writer, but it seems like all her stories have this secret or mystery that isn’t told til further in , and a sort of non-linear narrative. I like her, but I know what you mean about persevering through the first parts. She definitely makes you work for the story. I should really go back and read her more popular titles, but I think this one won the Goodreads 2016 Award for fiction. Yeah, she does. I kind of like that, but sometimes I think it’s borderline to overdone. Lol. I think this one was bordering on overdone but she did deliver in the end. I hope you enjoy it, just be patient for the first half. Second half definitely better and last quarter really good. I read this and enjoyed it, but felt that once the reveal of the BBQ happened then I lost interest in the story. I love Liane Moriarty’s works. My favorite book of hers is Big Little Lies, which is outstanding! The BBQ reveal was the pearl I was trying to get to, but after I found out I wasn’t sure what else had significantly changed that I had failed to notice. I was interested in whether the marriages would survive and what would happen with the big decisions hanging over the characters. I will be reading my first book from the author soon, and I admit I’m really intrigued by this one. Great review. I’ll take into consideration the slow and maybe confusing beginning when I start, I prefer to be warned, so thank you! She certainly writes with a huge depth of understanding of her characters. Hope you enjoy it.